← North American Arms Factory Tour: new at AllOutdoor. 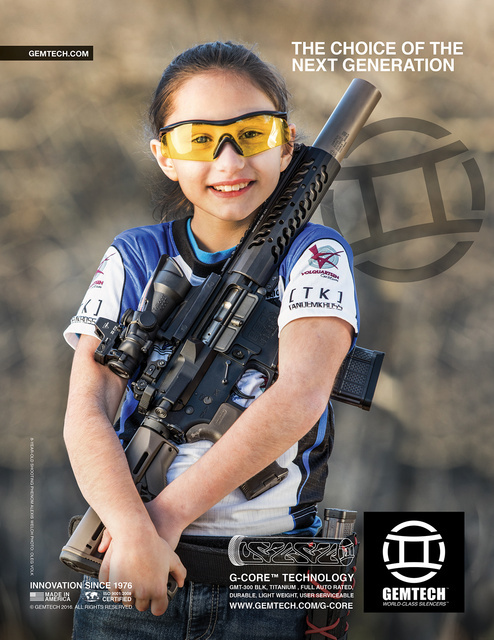 This entry was posted in interesting people, rifle, sound suppressor, weapon and tagged 300Blackout, AR15, child, girl. Bookmark the permalink. Normally I would think is cute and kind of awesome. But a little girl SMOKED me the other day at .22 steel shoot. Well, I did better than her on the pistol section. She destroyed me on the rifle. Of course, her dad had about $2000 invested in her equipment. But still…very humbling.